When creating graphics on a computer, there is a distinction between painting and drawing. Painting involves changing the colors of pixels using a painting tool. 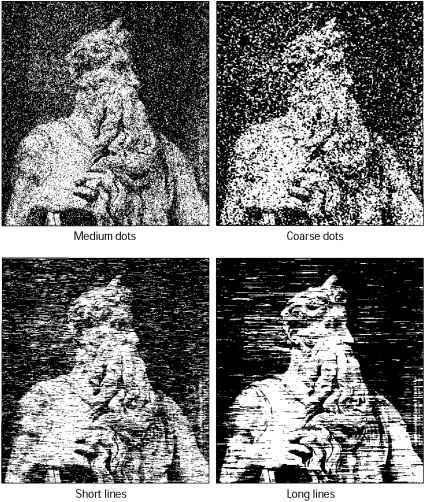 You can apply colors gradually, with soft edges and transitions, and manipulate individual pixels using powerful filter effects. However, once you apply a brush stroke, there is no simple way to select the entire brush stroke and move it to a new location in the image. • Shapes are object-oriented—you can quickly select, resize, and move a shape, and you can edit a shape's outline (called a path) and attributes (such as stroke, fill color, and style). You can use shapes to make selections and create libraries of custom shapes with the Preset Manager. • Shapes are resolution-independent—they maintain crisp edges when resized, printed to a PostScript printer, saved in a PDF file, or imported into a vector-based graphics application.